Very well written which grabbed my attention. Tells a story of the human spirits desire to survive and live with intention. 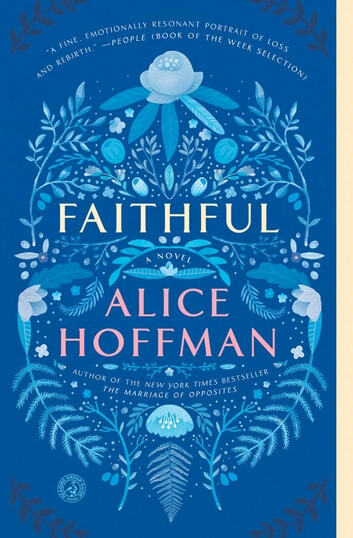 Alice Hoffman is masterful at telling a story in a way that the reader is drawn in and mesmerized by it's characters. Her characters are real and believable. A must read for anyone who has lost a loved one. I can see why Alice Hoffman started the story with a poem by Leonard Cohen...both writers tend to explore the dark side of being human; yet both contain feelings of hope and explore the magic of being human. This is a novel that will stay with you long after you finish reading it...it is the story of redemption and the power of love to carry you through trauma. Shelby struggles to accept what she cannot change and works to find her "angel", just as we all must do in life. I'm going to miss theses characters, dark and real, lost then found. This was a quite painful read at times, the author conveys feeling so well. 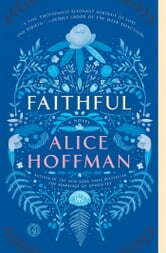 Faithful by Alice Hoffman is a very unusual novel (let me be brutally honest and say it is just plain odd). Shelby Richmond is seventeen years old when she is in a tragic accident that puts her best friend (of a sort) in a coma. Shelby feels survivors guilt and does everything she can to ruin her life. She quits going to high school, tries to kill herself, and then shaves off all her hair. She spends the next two years lounging in her parent’s basement watching television and getting high (let’s not forget the smoking and junk food). The one person she talks to is Ben Mink, her pot dealer. When Shelby is nineteen, Ben is heading to New York for college. He is going to become a pharmacist and asks Shelby to come with him. Shelby then wanders around New York with her bald head (black clothes too). She eventually gets a job at a pet store. Ben is good for Shelby, but she refuses to see it. Shelby is still bent on self-destruction. After the accident, Shelby started receiving postcards. Whoever is sending the postcards is trying to help her move on. To encourage her on the right path. Will Shelby ever be able to move on with her life? Can she forgive herself for surviving an accident? Faithful, as I said, was a very peculiar book. It is written like Shelby is talking. The reader is subjected to Shelby’s long, depressing narrative. Some parts of the book are compelling, but there are many pages that should have been tossed on the editing room floor (you get the metaphor). I felt that Faithful was not a finished book. It is also a very dark, negative novel. If you are a person prone to sadness or depression, please stay clear of this novel (otherwise, you will want to off yourself by page 75). I give Faithful 2 out of 5 stars (like I said there are some good parts).